Talking about F1: The F1 blog: Sebastian Vettel 2012 World Champion: What has he got to do? 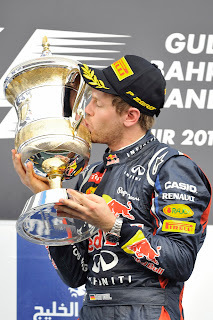 Sebastian Vettel 2012 World Champion: What has he got to do? What have I got to do to make you love me? What have I got to do to be heard? Odd I know to start an article about F1 with an Elton John lyric (or, to be strict about it, a lyric by Bernie Taupin). But Sebastian Vettel would be forgiven for thinking such things right now. He won this year's world drivers' title, his third in total as well as his third in three years which only Fangio and Schumacher had done before, yet you'd hardly know it. Beyond the Red Bull team and Seb's/Red Bull's coteries of supporters much of the reaction has been rather muted, almost resentful in some quarters. To borrow a little more from Bernie (not the F1 one): it's a sad, sad situation, and it's getting more and more absurd. What does he have to do, as I said? And further, the more you dig into the achievements the more remarkable they become: it's Seb's third championship from only five full years in the sport, and just four in a front-running car (indeed, had FIA's decision on the double diffuser gone the other way - and many thought it should have - Seb could be celebrating four from four). And Seb's done it from the front: he's triumphed 26 times (from just 101 starts) in a field that has good claim to being F1's most talented ever, and has almost always been a contender at the head of the pack. Seb is no cruise and collect points-gatherer. All the while Seb has developed into a driver with just about everything. The speed and precision that he can turn on like it is on tap are well-established, and this is allied to intelligence, industry and increasing demonstration of his ability to race. Seb is a great ambassador for the sport too: a well brought up, friendly and responsible guy who is refreshingly open (for an F1 driver) with the media. And while, yes, Seb has often had an excellent set of wheels to call on for much of that time, surely only a churl would argue that Seb isn't also personally bringing something to the party. If nothing else, where has Mark Webber (no slouch he) been when all this has been going on? Seb's up 25-9 on wins in their four years sharing a stable, as well as is 3-0 up on titles of course. If you're still not convinced, I invite you take a look at the entire list of F1 world champions since 1950, and count the number who won it without the best car (or close to the best). You'll likely not need more than the fingers of one hand. And, oh yeah, did I mention that he's just 25? In F1 history only Lewis Hamilton and Fernando Alonso had won any world championships at that age, and in either case it was just the one. If the past is any sort of guide then Seb's a good six or seven years shy of his peak even now. There's a long way to go of course and nobody knows what lays ahead, but it's not outrageous to say that even Schumi's stratospheric records might be vulnerable. One can only imagine what sort of force Seb might end up as. So, what's going on? Well, the first thing to say is that a large part of it is that success often struggles to get the appreciation it deserves in its own time. Name just about any period of sustained triumph in F1 - the Schumacher/Todt/Brawn/Byrne Ferrari dominance of the noughties, Williams in the mid-90s, Ron Dennis's McLaren success of the 1980s - and there was very little affection among neutrals at the time. Only later did the full force of appreciation materialise. At the time the overriding feeling is if only someone else won! I find it hard to believe that in years, and decades, to come many will look back at Vettel's and Red Bull's success in the last three seasons with anything other than awe. And even if Seb never wins another championship it's hard to imagine in that he'll be considered as anything other than an all-time great. Part of it too is that Red Bull, right now, isn't a collective prone to winning popularity awards outwith its own fans and employees. It is viewed rather as an arriviste, or nouveau-riche, not a 'member of the club' as the likes of Ferrari and McLaren are. And Seb, rather like Piquet was at Brabham and Clark at Lotus, seems a perfect fit within his organisation, almost to the point that you cannot see the join. And the team it seems right now have to cope with slings and arrows that come with its success combined with arriviste status: that it's seen as brash, arrogant, self-centred (amplified by its tendency to stand alone on political matters), single-minded, not constrained by whatever is considered 'the done thing', prone to ruffling establishment feathers. And possibly a lot of this rubs off on how Seb is viewed too. And the circumstances of the title triumph this time were peculiar: few doubted Fernando Alonso's status as driver of the year, and his hauling of his F2012 into the championship fight was indeed a wonderful tale, and had he taken the title it would have had a credible claim as the most impressive and unlikely in the sport ever. And everyone loves an underdog, fighting against the odds. Therefore, the consensus at the final round in Brazil was that people thought Seb would take win the day, but that they wanted Alonso to. But a couple of points spring to mind at all of this in Seb's defence. One is, it's all not Seb's fault; Alonso's mighty performances are no reason to denigrate what Seb was doing. As Alain Prost tended to say to Senna fans: 'Good, that's fine - but please don't hate me!' And many noises coming out of the Red Bull team late in the season (and after it ended) do betray annoyance at the plaudits Alonso is receiving. Plus, a glaring point, this is F1. It's not a sport where scruples, or how success is achieved (so long as it's within the rules) should weigh us down. Prizes aren't handed out on sympathy. It's simply a matter of driver and team getting the job done. And Seb and Red Bull do just that. And those who seek to describe Seb as a chauffeur benefiting from a fine Red Bull, or else a 'gazelle' who can only run on his own out front - to take the two most common criticisms - sell him short. Way short. Recency is powerful of course, and therefore it's easy to forget that, for all that the Red Bull RB8 finished the 2012 season on form, for the first two-thirds of the year Seb's machine was by no means the class of the field as it was in 2011 (or even as it was in 2010). 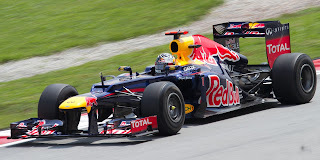 Designer Adrian Newey admitted that the restriction of exhaust blown diffusers impeded the Red Bull disproportionately, and suddenly Seb didn't have a nailed-on rear-end, especially in qualifying, that he benefited from last year. Therefore, Seb's qualifying knack from 2011 was gone, leaving him with much to do on race day (it's worth reflecting that qualifying remained important for almost everyone in 2012 - only 3 of the 20 races were won from off the front row, and two of those wins were helped by attrition and the other was in the wet). In China Seb missed out on the top 10 for no other reason than the pace not being there, while in Monaco he scraped in but then concluded that he was better off saving tyres for race day rather than set a timed lap in Q3. But despite this Seb, almost unnoticed, stayed in championship contention with a number of gritty drives through the pack to maximise the race results: in Australia, China (in which he might have finished second but for late tyre drop-off), Spain (despite a penalty), Monaco and Spa the impressive swim against the tide was the same. And while Webber often was ahead in qualifying, still usually Seb was the better on race day - so much for relying on strong grid slots. In Valencia and to a lesser extent in Bahrain as well as in Canada's qualifying Seb looked a lot like his imperious self of last year, but they were false dawns. Frustration did show on occasion though, his drive in Germany was scrappy and ended with a penalty for passing Button off-track, costing him points, he was at least imprudent in tagging Narain Karthikeyan in Malaysia (and his past-race criticisms of him were rather unbecoming), while his forcing Alonso off the track at Monza was ugly and deserving of the penalty it received. Furthermore, losses of temper behind the wheel, betrayed in his radio transmissions broadcast to the world from his cockpit, seemed regular: such as in Germany's qualifying session and Hungary's race (curiously, such barbs continued even when he was on top, such as in qualifying in Korea and after he lost the lead in Austin - fortunately for him such outbursts don't appear to impact on his driving). But whatever the case, Seb was able to do enough when the car wasn't good to be within striking distance when the car got good later. These points won him the title just as much as the later run of victories. From Singapore onwards various developments meant that the RB8 was suddenly the class of the field and thus it was just like 2011 all over again. With dazzling speed, precision and confidence Seb would claim pole by putting the car on its very end - to the point that you'd gladly allow Seb to nail a qualifying lap in the final moments of Q3 to save your life. It's by no means exaggeration to say that Seb's qualifying ability is Senna-esque. Then, once the red light went out on race day, just as with Senna and Schumacher, it was like flicking a switch: Seb would immediately be at the limit and the opposition would be on their knees within a few corners. Seeing Seb complete lap one with a clean pair of heels became a positive expectation. This all helped Seb to four wins on the bounce in a year wherein no one else even won two in a row. By the time he'd done this the 2012 drivers' championship was in the palm of his hand. Of course, the 'Seb can't pass' idea really should have been buried long ago; any sort of analysis of his driving in 2011 should have led one to conclude that it was poppycock. And this year Seb had plenty of opportunities to bury it yet deeper. He started the season with a fine, around-the-outside, pass of Nico Rosberg at an unlikely part of the Melbourne track. At Spa he passed several cars in rising from 12th to 2nd in a car that was one of the slowest through the speed traps; those points were vital at the year's end. And then there was his double coup de grace when in Abu Dhabi and in Brazil after delays he came through the field in what seemed the blink of an eye. In Brazil he rose from 22nd place to sixth in just seven laps (and with a damaged car); the passes were decisive, aggressive and usually immediate. It was the sort of performance that led you to doubt your own senses. And Seb is by no means a passive recipient of a fine Red Bull machine. No one in F1 works as hard at their game, no one leaves less to chance. To illustrate, who was the only F1 driver who went to visit the Pirelli factory after that company entered the sport at the start of 2011 to check out the rubber being developed? Yes, that's who. Allied to this is a rare intelligence, which many insiders rate as higher even than Alonso's. It's hard to doubt them, especially when one hears Seb in radio conversation during a race where, in addition to the not small matter of driving an F1 car, he retains a variety of strands of analysis within his head, more than most watching at home behind a desk with live timing and lap charts to hand can manage. And when in Brazil while facing backwards into oncoming traffic at the fourth corner, Seb rather than panic at the major setback in the most vital race of the year had the presence of mind to let the car roll backwards and to steer it between the various cars flashing past. Seb is also hand in glove with the Red Bull team and strong technically - Newey recently complimented Seb's sensitivity and contribution on the technical side - and knows what he wants from the car as well as how to get it. Even though Seb and team mate Mark Webber were close in the championship table in mid-season the car was developed with Seb's driving style in mind. This was particularly in its qualifying spec where Seb likes to drive the car on its nose and - counter-intuitively - correct rear slides with additional throttle (it's something that Webber has never mastered). Seb isn't perfect of course. The incidents from this year listed earlier added to his contact with other cars in coming though the field in Abu Dhabi and Brazil could add up to a case that his judgement when wheel-to-wheel still lets him down perhaps too often. And had the Abu Dhabi or Brazil contacts ended his race (and I can't for the life of me work out how the Brazil double-whack didn't) I could be writing a very different article right now. Yet, no F1 driver is perfect, especially not when they're 25, and Seb has improved immeasurably in this in recent times and has plenty of opportunity to refine his skills further. And, whatever the case, it's now upwards of 50 races since Seb last retired due to contact (more than half of his career), so it seems that either by accident or design he has a tendency to get away with it. Seb as a driver is about as complete these days as can be reasonably expected. Hard-working, good technically, has a close and productive relationship with his team, decisive in the overtake, and most important of all extremely quick. Surely almost all doubters will by now have been converted. Surely what doubts remain are in the main born of obduracy. And, just you wait, in years to come you'll hark back to the days when you were privileged enough to watch Sebastian Vettel at the top of his game. It's high time we learned to stop worrying and love the Seb. Brilliant article, something I've been thinking of for a long time. But just one question about his driving style- what do you mean by 'driving the car on its nose'? And I can't seem to find too many articles specifically analysing his driving style...maybe you can do one? Another really good read, I definitely learned a few things while going through all the points you made. You bring to light many issues that myself (a ferrari and alonso fanatic) and my friend (a red bull supporter) have brought up ourselves. Personally I found it a bit hard going through an article that dons loads of praise on the now triple world champion but that doesn't mean most if not all of what you have said isn't pure fact. Really well written and interesting, keep them up! Thank you Graham an interesting and thought-provoking article. Let me say first that my favourite driver is Kimi Raikkonen - he is the coolest driver on the grid and one of the fastest. But I am a Vettel fan too and the German is certainly the best driver among the current crop. I get sick of people saying he wins only because of 'luck.' Balderdash! Nobody wins three world championships in succession solely due to good fortune. 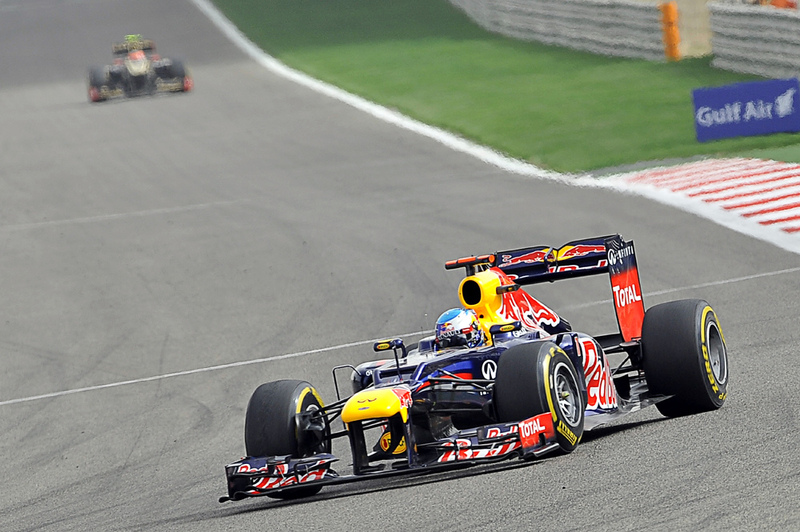 Only three drivers have won three world championships in succession, Fangio, Schumacher and Vettel. Fangio and Schumacher are arguably the best drivers of all time. Vettel is in stellar company in achieving the same feat as these F1 immortals and remember he is only 25. 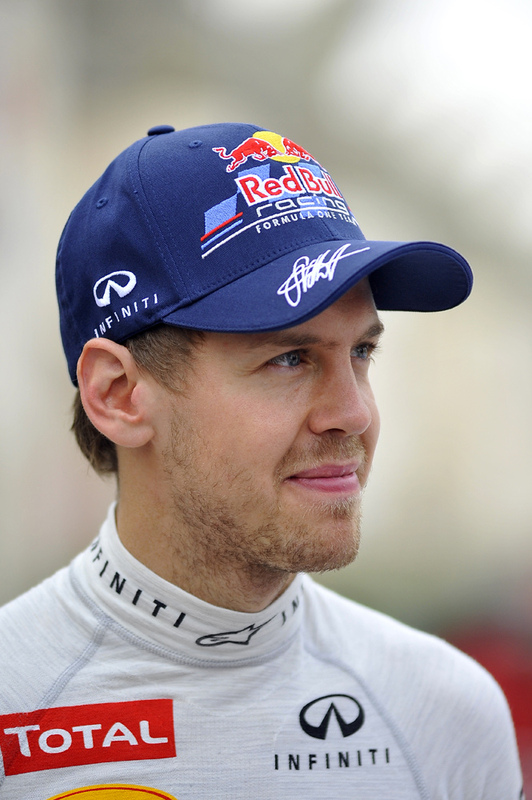 It is difficult to understand the vitriol directed at Vettel. A man as successful as him should be admired and applauded, not resented.